Lavender Hills Farm is located on twenty-five acres just outside of Orillia in central Ontario. In addition to the existing hardwood and softwood forests, we now have a tallgrass praire that we created five years ago. Every year the praire rewards us with an ever increasing floral display that contributes as a valuable resource for all our bees and other pollenators in our home yard. 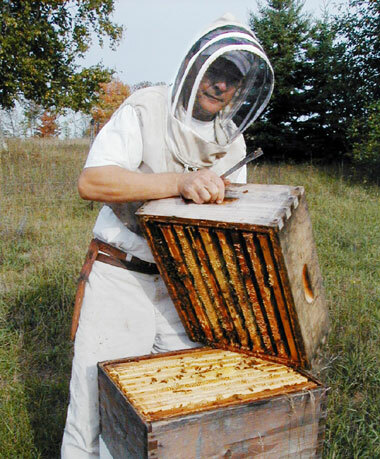 We have seven more bee yards in Muskoka, Oro Medonte, Ramara and Severn townships . . . that's about five million bees! As local producers, we harvest and sell our award-winning honeys and handcrafted cosmetics, candles and soaps that we make at select farmers' markets near us. Although we rarely ship our products at this time, we welcome all inquiries about our lines of honey and products from the hive.